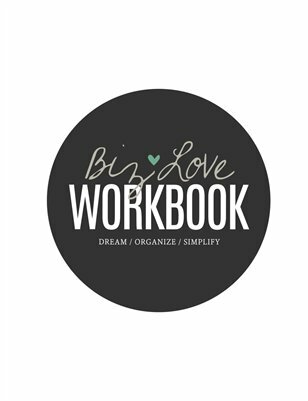 BIZ LOVE is a workbook for creative small businesses to dream, organize and simplify. It can be used to evaluate the standing, direction and details of your blog or biz. Complete it alone or host a Biz Love Retreat with like-minded creatives for some advice and feedback.